As is usually the case, the more smart technology in transport advances, the more fears arise in the industry. Although there are many reasons to embrace innovative technologies, sincere worries must be addressed. Some worries are simply hypothetical problems that will likely never come to fruition. But what about the more realistic concerns? It goes without saying that the industry is primarily concerned with safety – whether the technology will work and if it will keep passengers safe. Recently, all indicators point to “yes.” From electronic logging devices (ELDs) to autonomous vehicles, smart technologies are here, and they won’t go away any time soon. So, what is it about smart technology that worries both manufacturers and operators? By far, this is likely the most common fear, and to an extent, it already happened. Earlier this year, an operator outside Detroit reported they lost an account when an auto manufacturer they used to service elected to have their own autonomous vehicles transport visitors instead. Now, there are systems capable of navigating buses without human intervention. 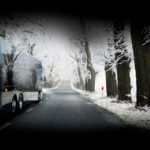 Naturally, some motorcoach drivers worry they might soon be out of a job. For a public transportation system with a massive schedule and ridership in the millions per year, these things might matter less to their bottom line. People need to reach their destination, and in many cases, city transport riders have no alternative. 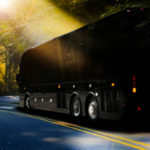 However, for a motorcoach company, these customer service issues make or break the business. Providing great service even when it’s no longer necessary will distinguish one operator from the next. Will accounts be lost to this new tech? Absolutely. It’s expected that for some transport needs, autonomous vehicles will displace drivers, and even motorcoach, altogether. 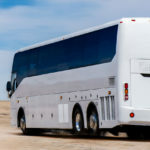 Nonetheless, drivers will stick around in the motorcoach industry to a large degree, as customer service agents and as attendants who take over operation of the bus when necessary. The truth is, an experienced driver will remain valuable to the industry. And, in fact, if city transit disregards the human touch, it provides new opportunities for the motorcoach industry and its drivers. Of course, everyone is concerned with the safety of autonomous vehicles, especially after the very unfortunate Uber and Tesla crashes. These incidents are top of mind. Rightfully, industry leaders work hard to improve automated vehicles to avoid further loss of life. But there are other ways smart tech can malfunction to cause issues for operators and passengers, ways everyday users may not anticipate. Consider the ELD, a device on a vehicle meant to log the on-the-road happenings concerning transport operations and safety. Ideally, these systems would log everything, report problems that need to be fixed, and help operators and manufacturers improve efficiency and safety. However, due to recent regulations, ELDs malfunctioning can lead to serious downtime and lost business for operators, among other things. 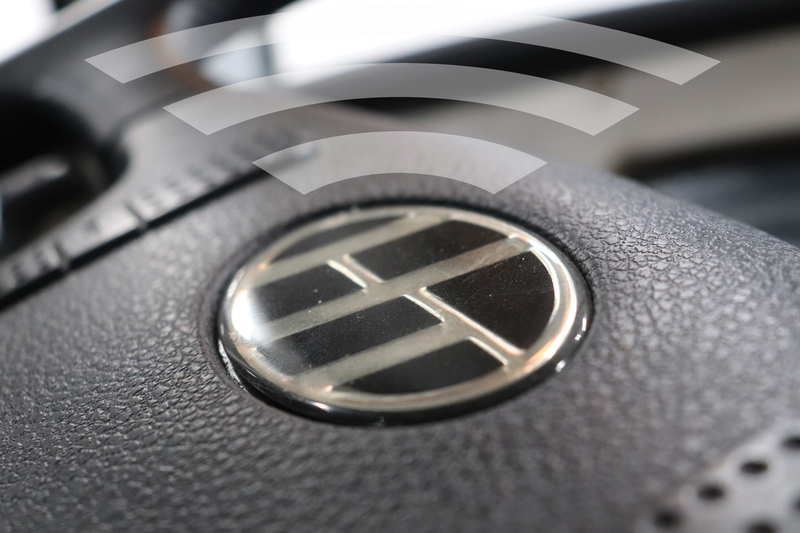 Although by law, drivers must report a faulty ELD within 24 hours, there’s no such requirement for installers or manufacturers to move quickly on repairs. ELD service reportedly can take weeks. For a small fleet, having a coach down that long is disastrous. Clearly, regulations are slow to catch up to technology. Therefore, it’s imperative that manufacturers be one step ahead of the law in such matters. Operators cannot afford, and should not accept, any other approach. Contingency plans must be in place. 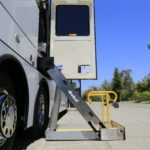 Understanding new technology and anticipating what might happen in the case of a malfunction is key to a successful future in the motorcoach industry. When considering new technology, one major concern is whether or not people are ready for it. In the case of smart transport technology, it comes down to public attitude and cost. In this case, cost might actually be less of a concern. That may seem unusual but finding excited investors is often easier than changing perceptions. When it comes to smart technology of any sort, there are always a few major costs to consider: the cost of infrastructure updates, and the cost of the technology itself. Governments, people, and corporations find green technology and automation intriguing. Smart transport technology is an incredible investment opportunity, and most savvy businesspeople recognize this fact. The public at large, however, needs convincing. The perception of smart technology, incidents like autopilot crashes and malfunctioning ELDs, heavily influence the way the public thinks. Will they accept these occurrences as unfortunate side effects to the advancement of technology and hope for the best, or will they reject smart tech because of such negative events? Manufacturers must consider these questions as they develop their products. Undoubtedly, smart tech can yield products that excite consumers; just look to the cellphone market. The crucial factor to positively influencing public opinion is for manufacturers to strike a balance between risk and benefit. Of course, that’s easier said than done, but it’s certainly possible. Remember, many technological advances happen away from the eyes of consumers these days, so a bit of skepticism should be expected. Positive interactions with new transport technology should lead to more trust. As people learn the benefits technology offers, they become eager to experience the best. This is especially true of the millennial generation, poised to become the largest consumer demographic in the world within the next ten years. They are ready for smart tech. Are you? Overall, although changes are happening now, we can’t expect the traditional motorcoach industry to disappear any time soon. What we can expect is that motorcoach must improve. Smart tech is here to stay. Even when their roles change slightly, drivers remain an integral part of what we do. As the public accepts new technology, we must be willing to adapt and evolve. That means we can’t rest on our laurels. CHTC is fully aware of this, and that’s why we design every generation of coach with the needs of operators in mind. We anticipate changes in technology and legislation. As the public becomes ready for new technologies, we’ll be there, ready. If you’re curious about what we offer, take a look at our models here.